Before we even new what boat we were getting I knew this was going to be the first modification done! A couple of years ago I came across a video on YouTube of a Searay crossing a lake at dusk with these bright blue lights coming out of the back of it....I knew I had to have it! 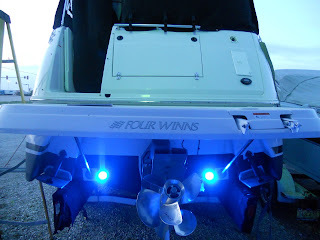 After the paper work was signed on our boat, I immediately approached Dennis the service manager at GSC about installing a pair of blue Lumitec Seablaze3 underwater lights on the transom of our new boat. I had originally planned to install these myself, but I just couldn't bring myself up to the task of drilling holes in a perfectly good boat...so I left it to the pro! Dennis did an excellent job on the install of the lights, and while the boat was in his shop I also had him install the mount plate on the swim platform for our new stainless grill! We can't say enough good things about the outstanding service we have received from Dennis at GSC! To say he has gone above and beyond the call of duty is truly an understatement!! I have to say, once we got to test these lights away from shore and out in the clear waters of Lake Michigan...we were blown away by how bright these lights are! 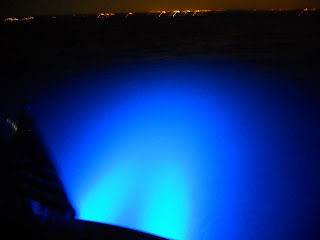 It's like looking down into a well lit swimming pool at night, and the halo of light not only is in the back of the boat, it extends toward the front of the boat due to reflection. Awesome video, Ben and Dana! We'll have to do another video from high up on our boat, running next to or behind you. You'll just have to keep the speed down to less than 25 knots. 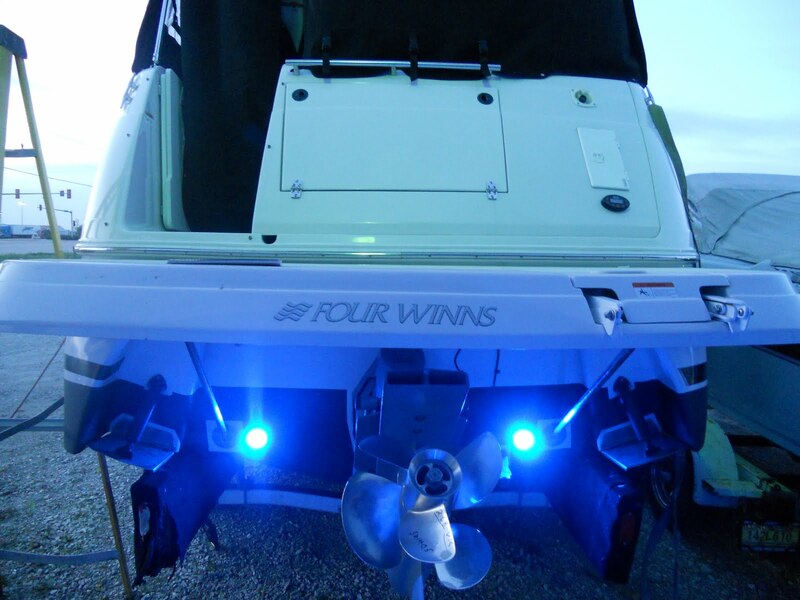 Led lights are useful when you are going for boating at night because of high intensity. Use them around the boats for clear vision . Look some more led products images from led lights india. Maiden Voyage to New Buffalo Michigan!